The PADI Tec 45 Diver course follows the PADI Tec 40 Diver course and takes your training as a tec diver further and deeper. It is the second sub-course in the full PADI Tec Deep Diver course and after completion will allow you to enter the PADI Tec 50 Diver programme. During the course, you will use basic tec diving equipment, learn the skills and equipment and planning need to dive to a maximum of 45 metres, and gain the knowledge to plan and execute single and repetitive decompression dives using a single stage cylinder of Enriched Air/Nitrox or oxygen to accelerate or add conservatism to the decompression stops. You will also learn that there would be no time limit to amount of decompression, learn to prepare for and respond to foreseeable technical diving emergencies and master the basic skills and procedures that you will need to move into deeper technical diving. 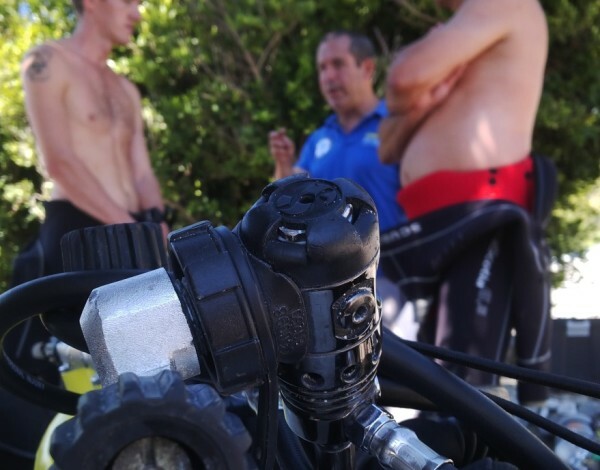 The final dives for the Tec 45 Diver training will be made at some of the best sites the Costa del Sol has to offer while using either a DPV or boat. You will use the Tec Deep Diver Crew Pack, which introduces you to tec diving terminology, emergency procedures, decompression and stage cylinder handling and gas planning. The Crew Pack includes a manual, dive planning checklist and dive planning slate and will be required for the PADI Tec 50 course. Have a minimum of 50 logged dives, of which at least 12 dives were made with enriched air nitrox deeper than 18 metres / 60 feet and 6 dives were deeper than 30 metres/100 feet. But Tec diving IS quite demanding and some medical conditions such as heart or lung problems will prevent you from participating. Before signing up for a PADI Tec course, you will be required to complete and sign the standard PADI Medical Questionnaire [PDF, 120KB], with signed clearance from a doctor.